Today I'm swapping products with Greg from Smedley's Smorgasbord. You might remember him, he did a guest post for me in September. Over the past few month's Ive gotten to know all about Greg and his crazy hats. He is super creative and has some amazing and fun products available in his TpT store. For our product swap, I gave his Snow unit a test drive this week. 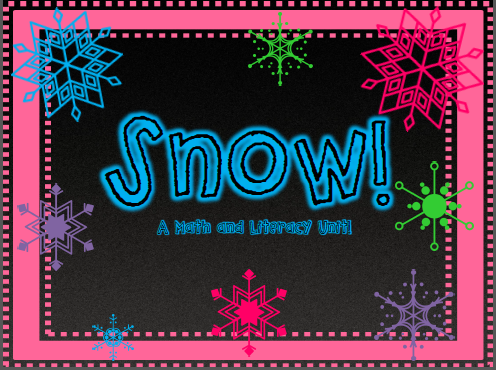 This unit is packed with common core aligned activities for math, literacy writing and science. 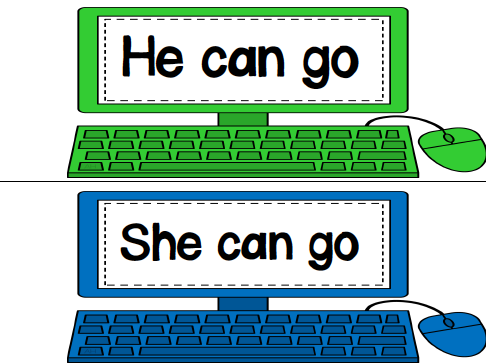 The activities can be differentiated and used whole group, small group or as a center. Lot's of printing...good thing I have more than one printer. Lots of laminating... good thing I have a lot of great moms who take it home and cut it all out for me. 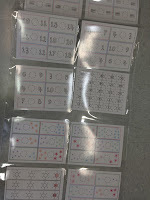 I added these pieces to my Math Work Stations. This was the first time we've had a dry-erase station. They LOVED it. 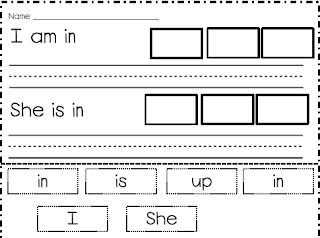 This is a syllable sort we played whole class. Great for vocabulary as most of my kids didn't know what a sled was. 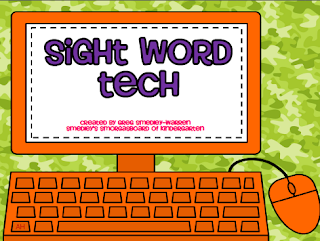 I also added a few things from his Sight Word Tech to my choice time on Friday. I spent Thursday night printing and laminating at home. 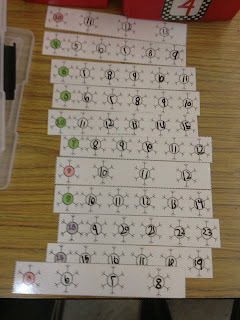 The kids thought these were " SUPER COOL"
I left them out for the kids to use during Choice Time. 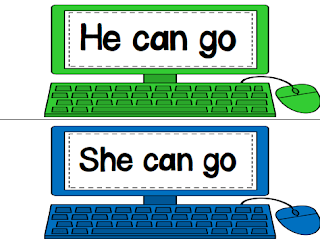 I am printing these and placing them on a ring for the kids to flip through and read. Make sure to go over to Smedley's Smorgasbord and see what other great ideas he has to share. 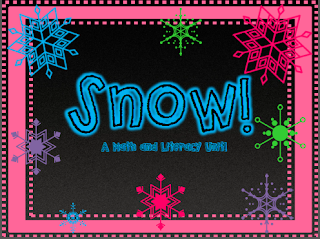 Now if you've made it through all the details and pictures make sure you enter to win the Snow Pack and the Sight Word Tech Pack. You have until 7:00 PM Eastern time on Sunday to enter (That's 4:00pm for us pacific timers). Leave a separate comment for each entry below. I follow Smedley's Kindergarten blog under Ashley Clark. Thank you for this great opportunity to win such a fabulous product. I follow Gregs blog under carolstewart04. I also follow him via pinterest under carolstewart. Finally I follow him via his TPT store under carol4'. 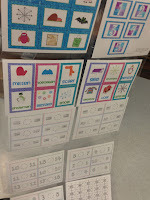 I follow Smedley's Kindergarten on TpT. I follow the Kindergarten Smorgasboard on pinterest. I follow tpt store too. I follow his TPT store as Carla18. I follow Smedley's Kindergarten on Pinterest. I follow Greg's TPT store too. I follow Greg on pinterest under Lisa Gray. 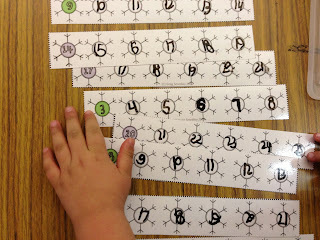 If follow Smedley's Kindergarten blog. I follow Greg on Pinterest. I follow your TPT store under CeciliaB. I follow on Pinterest as Cecilia Bartram (earthakitty). I pinned the Snow Packet. I pinned the Sight Word Tech Packet. I follow Smedley's kindergarten under Lishelle. I follow him on Pinterest under Lishelle. I follow his TPT store under Lishelle.